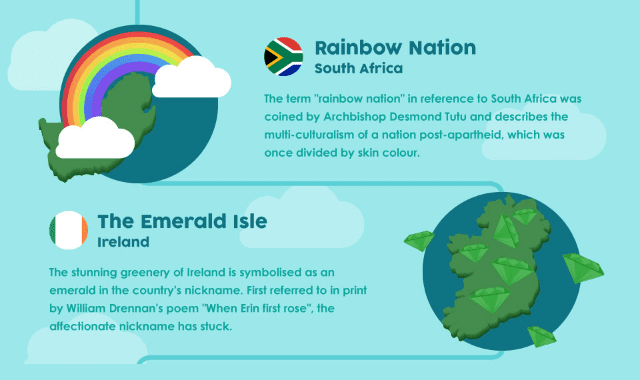 The Stories Behind Country Nicknames #Infographic ~ Visualistan '+g+"
The nicknames given to countries can offer an intriguing look into the makeup of a country and give us insights into their history and national pride. We have gathered some of the most fascinating names that have been attributed to countries and explored the stories behind them. For some it is as simple as reflecting the shape of the land, however, for others there is much more to discover. So what are you waiting for? Check out our infographic below to find out how the countries around the world got their nicknames!